The LG G7 One is the first handset from the manufacturer to receive the Android 9 Pie software update. According to a report from XDA, the update which is around 821MB in size brings all the new features from Android 9.0, the November Android security patch and new functionality for the camera. 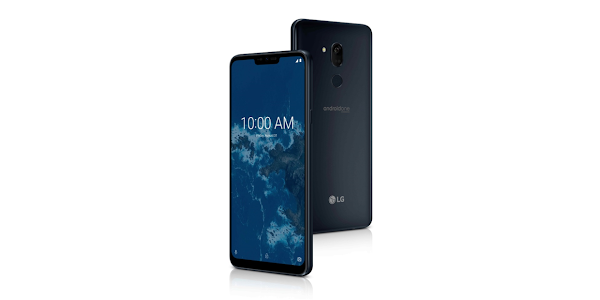 The LG G7 One is a member of the Android One family, which indicates that it runs a near stock version of Android which allows the manufacturer to disseminate the update out faster than they would for a customized version of Android. With Android 9 Pie, the LG G7 One will gain a new gesture-based navigation, various battery specific improvements, camera tweaks, Wind Down and an updated Do Not Disturb, improved volume controls and more. The update will be pushed out to handsets over-the-air, and you will get a notification when it is available for your device. At this point, you can download and install the update, after making sure your battery is fully charged and that you are connected to Wi-Fi.